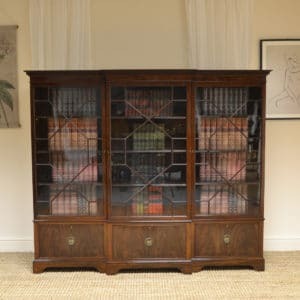 This Unusual Large Satin Birch Victorian Antique Open Bookcase has Arts and Crafts influences and dates from ca. 1890. 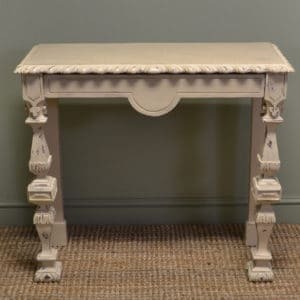 It has a raised back above a beautifully figured top, has two adjustable shelves and stands on a plain plinth. 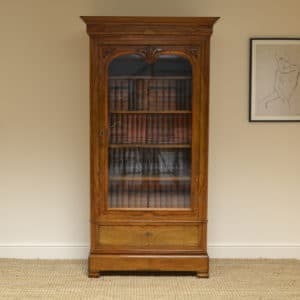 This Unusual Large Satin Birch Victorian Antique Open Bookcase has Arts and Crafts influences and dates from ca. 1890. 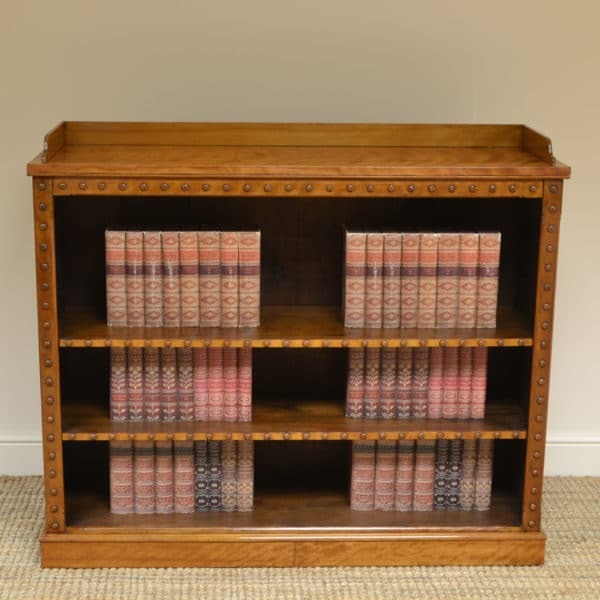 It has a raised back above a beautifully figured top, has two adjustable shelves and stands on a plain plinth. The edges have decorative bobbin turnings, it has a couple of very minor old veneer repairs, full of beautiful charm and character and has aged to a rich golden Birch shade with a striking grain, good patina, is in very good condition and has been beautifully cleaned using a traditional form of wax finishing. 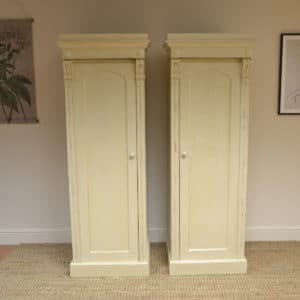 Hello James, a short note to say thanks for altering and storing our bookcases - the one you altered to 111mm fitted perfectly, with quite literally a couple of mm to spare. The delivery guys were 1st rate too.